This company helps you in enjoying your most special music and sports events live with a 3D view. The Next VR has done partnership with many big companies so that you can have a lot of fun while playing games. The formation 8 is the first investor to invest in this company. Recently this company has done partnership with Live Nation so as to telecast concerts in virtual reality. Investors: - Comcast Ventures, Softbank Capital, Iron fire Ventures, Vectr Ventures, Net Ease Capital CMC Holdings etc. Linen lab, an American internet company, developed the biggest ever 3D environment by the name “Second life” in 2013. Now it is working on its new project “Sansar” to be released in 2017. With the help of this new platform, people can easily share their VR experiences. This will also support newly built VR headsets i.e. Head-mounted displays so that the players can explore the realistic environment. Investors: - Kapor Capital, Jeff Bezos, Benchmark Capital, Omidyar Network, Catamount Ventures etc. Jaunt VR company, based on silicon valley is the most famous VR content developer company with the initial investment of $65 million in series C funding. It has developed a new platform by introducing a new camera having an excellent 360 degree view and a distribution system. It is also becoming a choice of advertisers, filmmakers etc. This company, earlier known as Wemo lab makes VR playback software of high performance for VR creators so that they can develop and present the stories on all the electronic equipments that are used for VR. This company also provides VR media player to cinema creators which can be run on all VR devices. The headquarters of this company is located in Venice, California. This San- Francisco based VR content develop company allows its users to utilize various tools and formats so as to create most exciting VR experiences and sharing those experiences in all over the world. The experts of this company have made special efforts in developing software and peer-based recognition systems that can support virtual reality devices like HTC vive, Oculus Rift etc. This company provides many services to its customers like visual effects (VFX) services, 3D virtual reality (VR) services etc. You can also do on-set consultation, camera rig removal, 2D and 3D fine stitching, digital makeup with the help of these services. Recently this company has also introduced a Virtual Reality division that provides a full-service solution to the customers in 2D and 3D formats. Investors: - North water Capital, PAR Capital Management and Augustus Ventures Limited. CCP stands for Crowd Control Productions. This company became popular in 2003 by launching EVE online, the first video game made by CCP. CCP has also won many awards by developing cutting edge games. This company has developed best products like EVE Valkyrie, EVE Gunjack, Project Nova etc. They have many innovative ideas by which they are able to create unique games. This company, having headquarters at Wellington is famous for developing simulation world that can be operated in real time mode. SpatialOS is the first operating system made by this company which is able to generate many simulations at remarkable scale. Many players can enjoy the game in VR mode at the same time. This company makes complicated simulations for defense, infrastructure, economics etc. The head quarters of this company is located at London, England. This technology helps people to interact with each other by transforming video of many cameras into human holograms that can be seen from every angle. People can easily develop and share the 3D videos of real humans on the web. 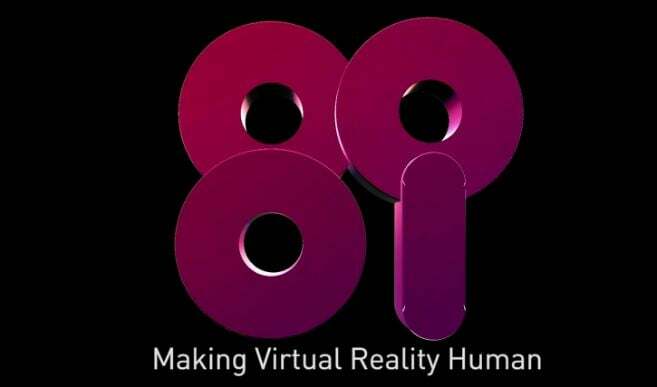 8i allow its users to roam about real humans in virtual reality so that they can feel as if they are in the same room by providing a true 3D view. This company is also developing VR software that will bring a great change in the VR world. Investors: - Kevin Wall, John S. Hendricks, Inevitable Ventures, Jeremy Stoppelman, Right Click Capital, Freelands Ventures, Frontier Tech Ventures, BDMI, Dolby Family Ventures etc.